Putting together several maneuvers is called sequence flying. But this broad term includes many other smaller categories of flying, including stunt flying, competitive aerobatics, and display flying. They all involve flying a number of maneuvers in a sequence, but have different results. For the purposes of this book, competitive aerobatic flying and display flying are gathered into one discussion. This section will focus on learning sequences of maneuvers designed to improve your flying skills and, more important, showing your flying skills and the capabilities of your computer and software. The language of sequence flying is called Aresti. 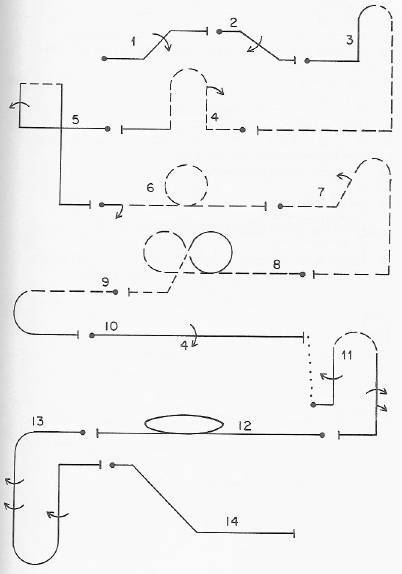 This unique system of diagramming maneuvers for sequences is named after its inventor, Count Jose L. Aresti of Spain. He devised the system to help keep track of maneuvers in international aerobatic competition. In Aresti, each maneuver has its own symbol. By combining these symbols, you can form logical sequences. 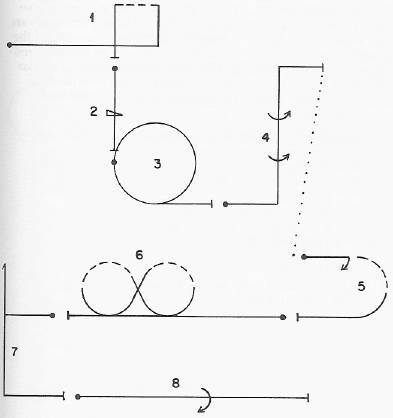 The basic building block symbols of the Aresti system are shown in Figure 4-1. 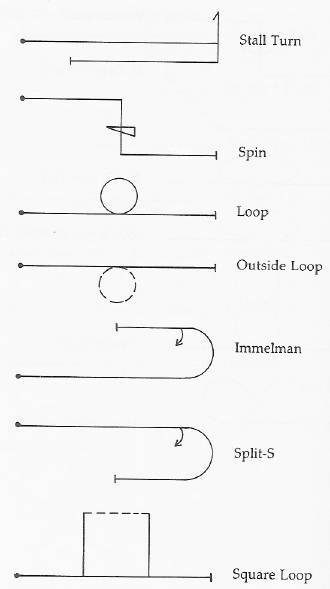 These symbols may look complicated at first, but a careful inspection reveals that they are very descriptive of the maneuvers they represent. By combining these symbols, you can manufacture thousands of multipart maneuvers, and by combining maneuvers you can form air show type sequences. Learning a new routine is best handled in small chunks. Select three or four maneuvers and practice them together. When they're familiar to you, move on to the next group of moves. Once you're familiar with the whole routine in small groups of maneuvers, you can put them together in a sequence. A good sequence is more than the sum of its individual parts. A good sequence depends on how these parts fit together. Transition is very important. 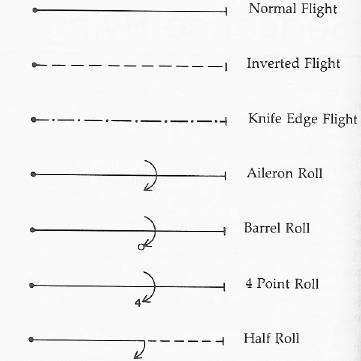 Moving smoothly from one maneuver to another is the mark of an accomplished aerobatic pilot. The following basic routines are good training tools to practice your transitions and location. Try to stay over a landmark on the ground to simulate the audience location. Note that these sequences incorporate frequent direction changes to keep the plane near the crowd. 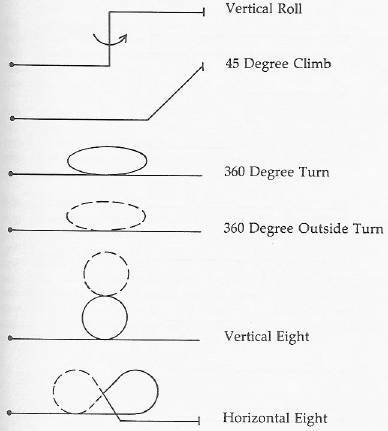 Basic Sequence #1 is a descending sequence, so start at a great altitude. You won't regain the altitude lost during the two descending maneuvers. This sequence uses both ascending and descending maneuvers. Most competitive sequences use several climbing maneuvers because you can only do so many descending maneuvers before you run out of altitude. The dotted line between maneuvers 4 and 5 serves only to connect them. 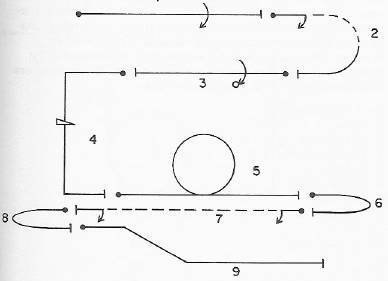 Dotted lines like this are often used to keep the maneuvers from being drawn on top of each other. In competitive aerobatics each pilot must fly a series of maneuvers known as compulsory sequences. These maneuvers are the same for every competitor in a particular class. After the compulsory sequence, the pilot may fly a short freestyle routine of his own choosing. 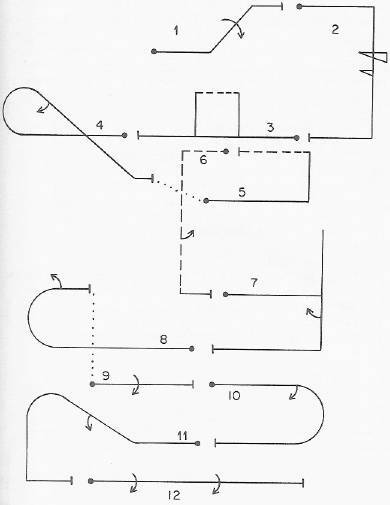 The following sequence is similar to the compulsory sequence for flyers in the Intermediate Class of competition. As you move up in difficulty level, more maneuvers are included. Moving on to advanced routines, we pull out all the stops. Here you will find a larger number of maneuvers, fractions of loops and rolls, and a great deal of outside flying. At the advanced stage, the maneuvers come rapidly, one after the other, so it becomes more important than ever to exit each maneuver properly so you can move directly to the next. Light the after-burners for a low-altitude, high-speed pass. Finish with a 90-degree ballistic climb to 30,000 feet, or until stall speed is reached if less than 30,000. These sequences are only suggestions and training tools. Feel free to make up routines of your own. There are thousands of variations. Use the Aresti system to write down the maneuvers; this greatly helps in practice and makes a record of your maneuvers for later reference. 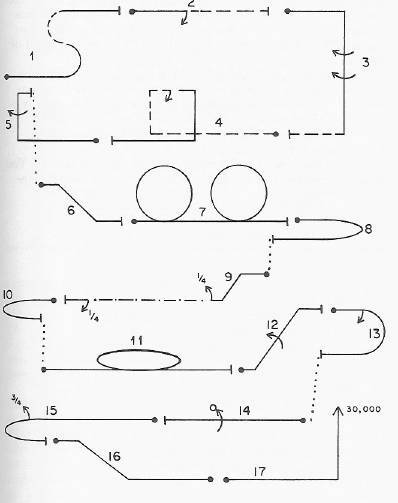 The maneuvers shown in this section are by no means the only ones you can perform. There are hundreds of maneuvers, but most are variations of the maneuvers already covered. All of these moves can be performed at various speeds and altitudes, while many can be flown in what is known as a dirty configuration, with the gear down. Experiment with wild maneuvers and combinations. You have the privilege of complete safety. Why not take advantage of it?